From the Charming Architecture to the Beauty of the meandering creeks and rivers that run through it, the South Carolina Lowcountry is abundant with beauty and life. 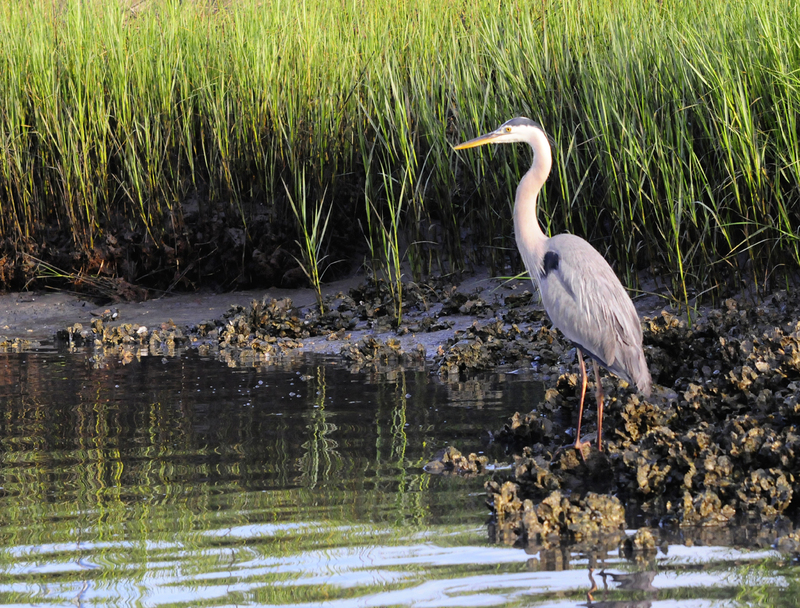 Tucked throughout the miles of Spartina Grass and collections of oyster bed ecosystems lives various species of fish and local wildlife. This is the place that Charleston Fishing Adventures calls home! A locally owned and operated business, our goal at Charleston Fishing Adventures is to bring you a fun filled and productive day of fishing in the unique coastal inlets and sounds of the South Carolina Lowcountry. We strive to go beyond bending a rod, and hope to bring you a true memory of this place we call “home”. Charleston Fishing Adventures offers Inshore Light Tackle and Fly Fishing Charters. From Stalking schools of Redfish in mere inches of water, to fishing the local reefs and jetties for Cobia, Amberjack, and Bull Redfish. We strive to make every trip and excursion unique and to the customers specifications. We have a great year round fishery here, and we at Charleston Fishing Adventures can show you what it is all about! Our Licensed, Insured, and Experienced Captains go to great lengths to ensure their clients are satisfied. From Veteran Angler to First time Fisherman, we plan on teaching you skills that will help you catch fish and truly create memories here in the scenic Lowcountry. 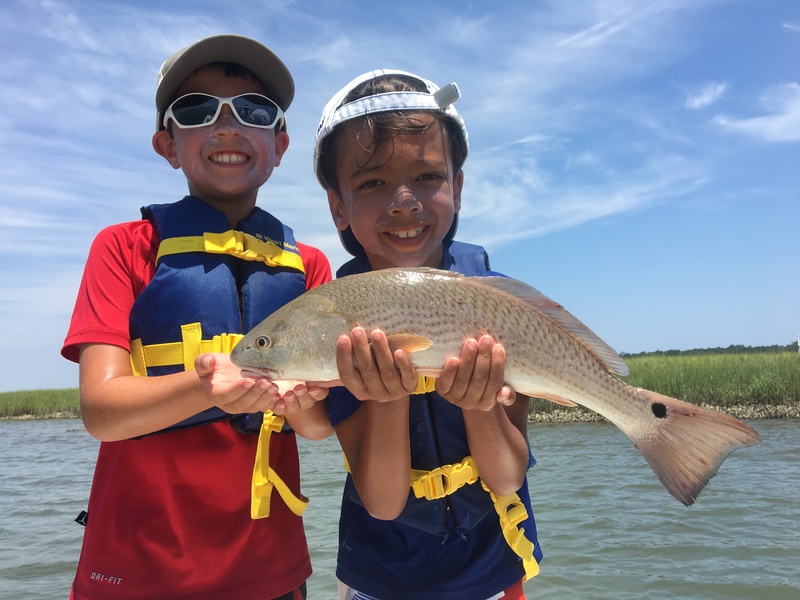 There is no better to way to create memories for Families, Corporations, or first time Anglers than a day on the water with Charleston Fishing Adventures! Click this link to book your Charter today! Charleston Fishing Adventures only uses the highest quality and finest gear on our Charleston Fishing Charters! We operate a Maverick 18 HPX Flats Boat, built by Maverick Boat Group. This boat has not only the finest fit and finish on the market, but also is suited best for the waters of the Lowcountry. This boat truly eats rough water, and floats in 8 inches of water! This means a dryer and more comfortable ride for the customer as well as the ability to get to the fish that are extremely shallow! 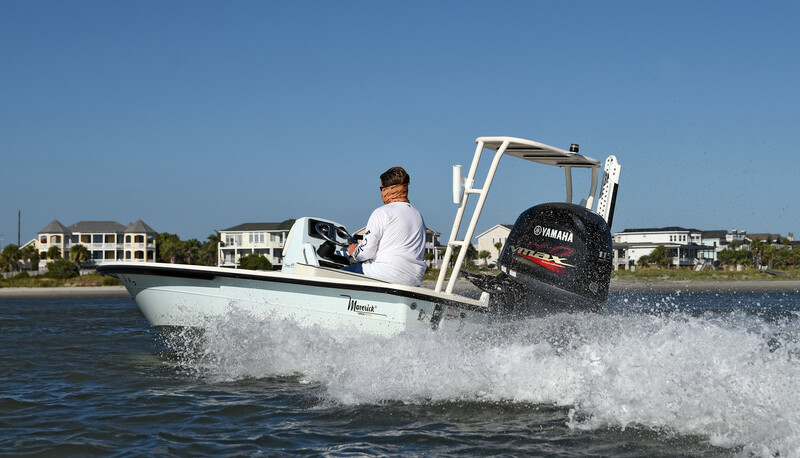 Our Maverick 18 HPX also comes equipped with the newest technology from Garmin, Powerpole, and Minn Kota. Charleston Fishing Adventures exclusively uses all Shimano Fishing Tackle. Why settle for anything but the best when it comes down to landing the big one? Shimano has prevailed in the fishing industry with not only incredible products, but also superb customer service. We truly believe in their products, and put them to the test daily. Book a Charleston Fishing Charter and let us show you why we use Shimano. Our Preferred Tackle Shop is Haddrells Point Tackle in Mount Pleasant, SC. This place keeps the fishing business up and running! From Tackle to Bait and Clothing, they have it all! Stop by there and tell them we sent you! When the Family is fishing, its not just about the number of fish you catch but also the bond and memories that are created with those you care about on the water. Please click this link to book your excursion today. Please see Pick Up Location information here. The Marina Market and Saltworks Dockside Deli are located at the marina for all your trip supplies.